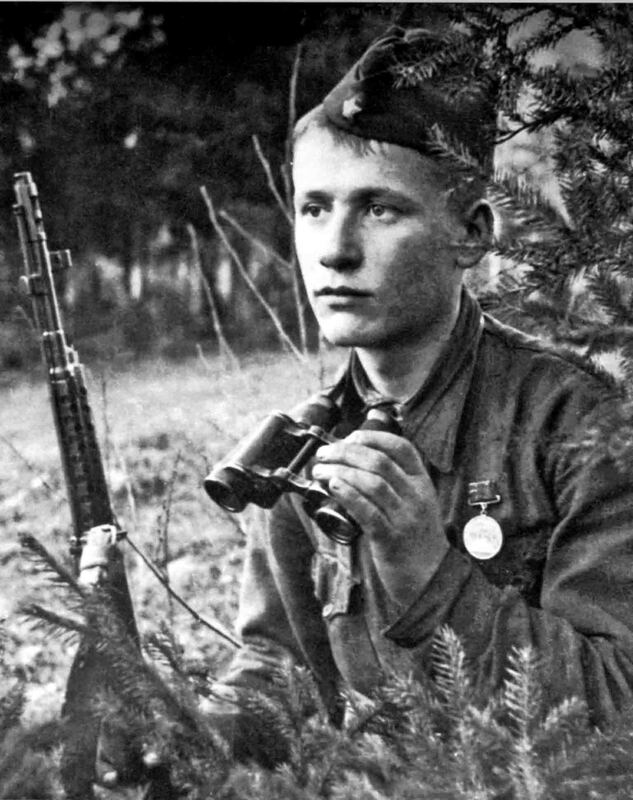 Soviet soldier Alyosha with SVT-40 self-loading rifle and medal “For courage”. He died in Pogostye, Leningrad region, in 1942. The photo was taken by a photojournalist of the 311st Infantry Division, D.F. Onohin.